Japan’s technological innovation can never be called into question. But in terms of changes in big business, it has often been thought of as a country where things change slowly…sometimes too slowly. Japanese corporate decision making has traditionally relied on consensus-building – using ringi-sho, and nemawashi (laying the foundations). These inclusive decision-making processes ensure that when changes happen, and decisions are made, everyone believes in them and gets behind them. From a non-Japanese perspective, this style of traditional participative decision making is often said to have stifled creativity and slowed the potential pace of innovation. In China for example, the country’s rapid adoption of new innovations, the readiness to build new businesses and entire industries around nascent technologies is very different to Japan’s consultative and inclusive decision making culture. Last week, I wonder if I witnessed signs that Japanese business attitudes are changing along with its perspective on innovation in deep technologies. I was speaking at the RISC-V Day event in Tokyo, held at the prestigious Keio University. I expected to hear lots of interest and optimism about RISC-V, but I was not anticipating real engagement and real action. But, I was pleasantly surprised. There were clear signs of RISC-V getting tangible acceptance in Japan: 240 people at the workshop, from over 100 companies. 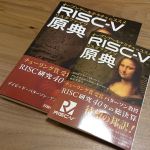 The acceptance of RISC-V as an open architecture seems surprisingly fast – the culture seems to be changing in Japan. There’s still some sensible hesitancy in jumping the gun: most of the Japanese companies active in RISC-V at the workshop are evaluating designs – few are ready to make public announcements – for now at least. I think that is fair, and indeed in most of the world to some degree RISC-V is ‘crossing the chasm’, in Geoffrey Moore’s famous model: while early adopters and evangelists are speaking up, the pragmatists and early majority are still evaluating this new architecture. And that is the interesting thing: normally Japan would have been following even them, but instead there were a number of companies moving forward with their trials, and that indicates much faster, more forceful decision making. I asked attendees and several people agreed, often ascribing it to the influence of Masayoshi Son of Softbank, or realisation of the competition from China. The companies presenting at the workshop included the usual RISC-V supporters from outside Japan: Andes, CloudBEAR, Esperanto, SiFive. These events do provide an excellent ‘check-up’ on where we are with RISC-V, both in terms of technology and its commercialisation. It was remarkable therefore to see how fast RISC-V is progressing in terms of performance. Esperanto is one company pushing the limits and showing us what RISC-V is capable of, with some phenomenal performance targets and architectural innovation: 4000+ cores, tensor processing acceleration and some very high-performance cores. The company’s President and CEO, Dave Ditzel, gave an engaging and informative presentation based on his ‘personal history’ of RISC. I found it remarkable to think that a technology as important and prevalent is so young that the CEO of a start-up was a grad student working on the first concepts. Also, from a different perspective, Andes was impressive. As a commercial core vendor, one might have expected they’d be reluctant to support an open architecture, but they gave a good explanation of why they have adopted it and how this enables ‘best of both worlds’ with commercial quality and yet leveraging an industry-wide ecosystem. 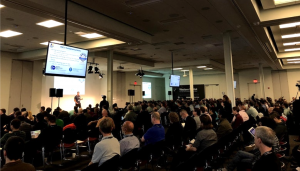 Both SiFive and CloudBear are newer pure play RISC-V companies, but both gave great examples of how the open ISA is driving innovation with different companies developing competitive yet compatible processors. They also laid to rest the canard that RISC-V is only suitable for ‘deep embedded’ or microcontroller level performance. To download my presentation from RISC-V Day Tokyo: ‘It’s not about the core, it’s about the system’ please click here.